Our parent information session will be held on Sunday May 19 to outline our curriculum and programs to Foundation families looking to enrol for 2020. Attendance is via RSVP to the school office by calling 02 6048 0300. If you are unable to attend, you should contact the school to make an interview time with our Principal for a personalized tour and information booklet. Enrolment forms are only handed out at the interview, if you determine our school is the best fit for your child. Parents are encouraged to look around before making their decision, and visit all local schools as it's an important decision. All families are advised to checkout their neighbourhood school as priority. Foundation Enrolments for 2020 close on August 31, 2019. Please note, you need to have a personal interview with the Principal prior to receiving an Enrolment Form. This plan will assist you to navigate your way around the school. Wodonga Primary School has a large enrolment of 885 students, supported in large grounds with substantially new buildings (2007 & 2010 building programs). 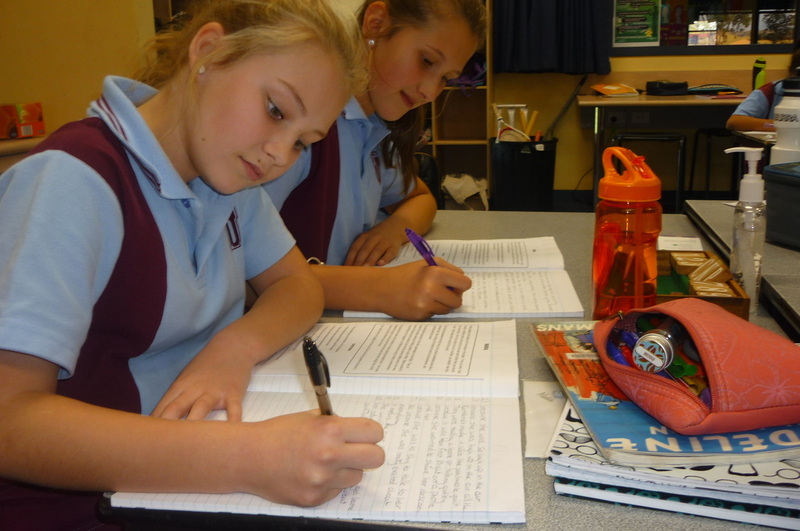 Enrolment enquiries are welcome late in Term 2 & 4 by appointment with the Principal. If accepted, new students will commence on the first day of the following term. The Birth Certificate and Immunisation Certificate must be presented with the Enrolment Form as per DET guidelines. Foundation Enrolments (1st year of school) are advertised via pre-school/ childcare centres in April annually. Prospective parents are encouraged to attend the subsequent Open Parent Session (in May) before making an individual appointment with the Principal. Foundation enrolments for the following year, close on August 31 each year, to allow for planning. Make sure you have made an appointment with the Principal, allowing plenty of time to make your decision prior to deadlines. Bring your Birth & Immunisation Certificates with you. Enrolments for Years 1-6 should be completed by October 31. Movement between Wodonga Government Schools is discouraged mid-term; however appointments with the Principal are always available to discuss your options. ​Please speak with your current Principal first. Families who relocate to Wodonga throughout the year are encouraged to bring all relevant documentation with them to the Principal appointment. Movement between Victorian schools is done online and communications between schools is essential prior to new enrolments being accepted. The school aims to raise approximately $25,000 per year to fund programs. This is done via fundraising and parent support through payment of school levies. ​The 2019 school levy is currently $120 for all students, this covers School-based materials and e-Learning. Parents are required to purchase a Stationery Pack for their student, which vary in price across year levels. Additional levies apply for Water Safety, Camps and Excursions and Religious Instruction. The School Council sets the school fees in October every year when preparing the Budget for the following year. Fees can be paid at the school office, 8.30-4pm or via BPay using your reference code, at your convenience. Holders of current Concession Cards can apply for a State Government fund to assist with the cost of Camps, Sports & Excursions (CSEF). Applications must be lodged by the due date, and is communicated via our Newsletters & Compass. The Biller Code & Reference No. are located on your Statement. BPAY can be used to pay whole accounts or a specific charge, eg. school excursion. Where parents select to pay through BPAY instalments, the payment received will be allocated off the old outstanding charge/s first. This excludes voluntary charges raised by the School. Payments generally take 2 days to come through to the School’s bank account. Excursion payments can be made directly through Compass. ​Note: that the description you enter with the BPAY payment is unable to download to our software. Please email the school on wodonga.ps@edumail.vic.gov.au or phone 02 6048 0300 to confirm the allocation of payments.